Ultrasound is a diagnostical medical imaging technique that uses high-frequency sound waves to create images of organs and structures inside the body. Images appear on a moniter and can be seen in real-time. The sonographer (the person who performs the ultrasound scan) holds a transducer (a hand-held device that looks like a wand) which is covered with a contact-safe gel before being placed on the patient’s skin, in order to ease the scan. We also provide at-home ultrasound scans for abdomen, neck, thyroid, salivary glands and more. 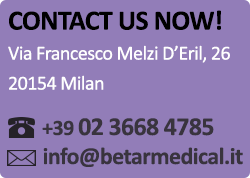 We are available for at-home services in Milan and its metropolitan area. Contact Betar Medical Center for further details about our services and book your ultrasound scan with our highly qualified staff. We aim to fulfill every customer’s needs.